This tutorial shows how to set up a bus link with a substitution table so that e.g. 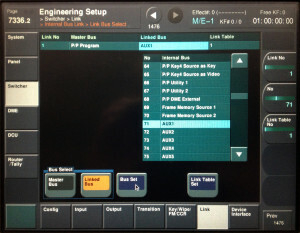 an aux bus will switch to an alternative source when you cut to a specified camera on the program bus. 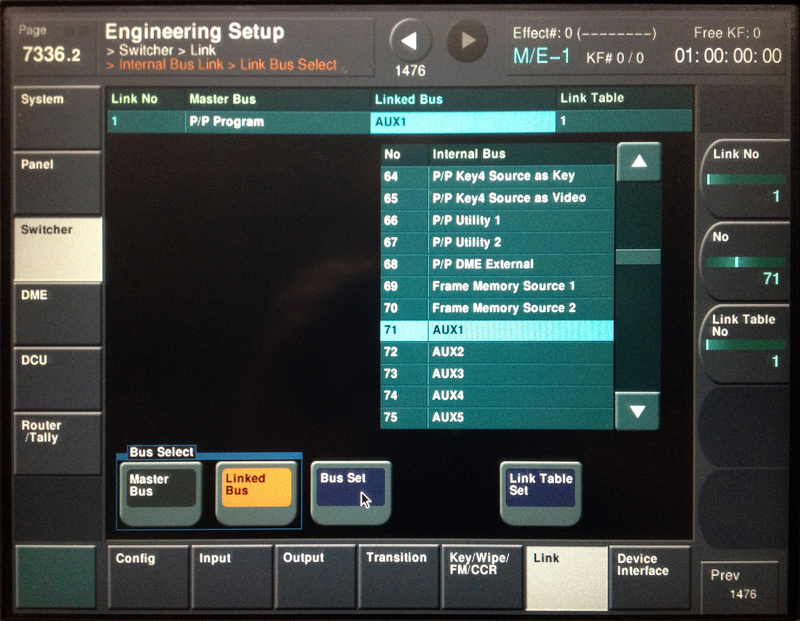 Imagine you’re feeding program out, via aux bus 1, to a studio monitor that’s in vision on camera 1 (wide shot). 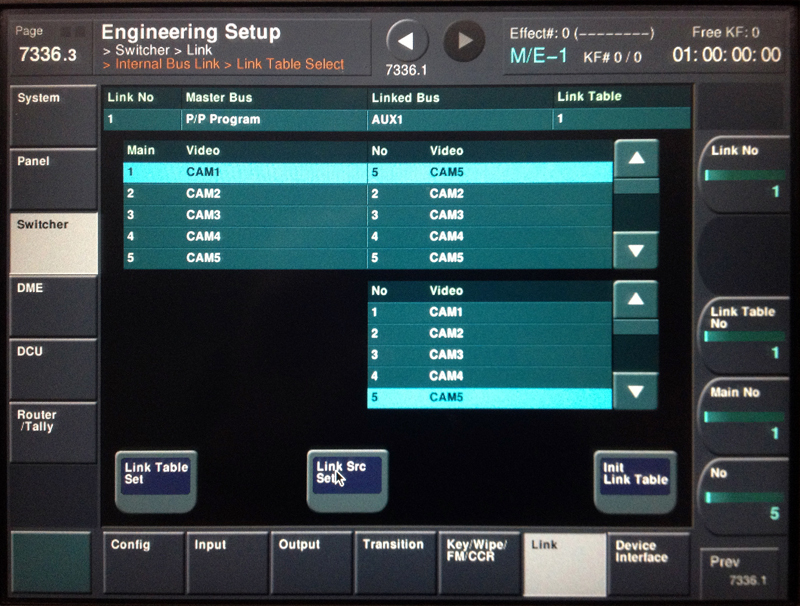 When you cut CAM1 on air, you don’t want it to appear on the in-vision monitor, or you will see video feedback. You want the aux bus to cut to a different source – e.g. 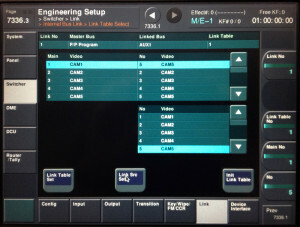 CAM5 – when CAM1 is on PGM. There are 8 link tables available. Any one will do – you’ll probably see Link Table 1 selected. That’s it. When you save a setup file, this link table will be stored as part of it.